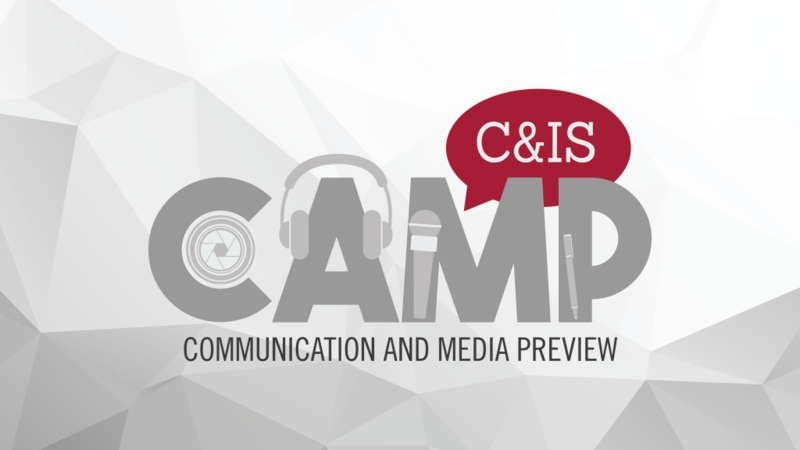 The University of Alabama’s College of Communication and Information Sciences will hold its inaugural Communication and Media Preview, or CAMP, from July 12-15. C&IS CAMP is a four-day, three-night immersive media experience at The University of Alabama. CAMP participants will work with cutting-edge technology alongside the nation’s leading experts in areas such as advertising, communication studies, creative media, news media and public relations. The CAMP experience is for rising high school sophomores through incoming freshmen nationwide who have an interest in communication and media industries. Before enrolling in college courses, CAMP participants will be exposed to various career options and cultivate their interests in all five of the C&IS undergraduate majors while engaging in a hands-on, team-centered learning environment. CAMP participants will get to work with the most cutting-edge technological equipment to plan, shoot and produce their final project. Additionally, guest celebrity speakers will speak to students, giving real-world advice and tips on how to make it in the sports communication industry. This year, CAMP is partnering with the communication and media professionals in the Alabama Program in Sports Communication to make its emphasis on sports communication the most outstanding experience possible for its participants. Information about the APSC can be found here. Participants will attend large group sessions aimed at connecting strategies used by industry-leading professionals with their own work. Small group breakout meetings will provide participants with the opportunity to work together in completing a final project to present on the last day of CAMP. Participants will stay on-campus in suite-style residence halls and attend sessions in both Reese Phifer Hall and Bryant-Denny Stadium. Registration for CAMP is now open. The cost of CAMP is $500 per participant, with scholarships available based on expressed financial need, on a first-call, first-serve basis. Register today to be a part of the first-ever C&IS CAMP.